Australia's smallest and most historic capital in close proximity to beautiful natural surroundings. A provocative mix of historic and contemporary art and culture. Hobart is a city of warm sandstone, bright spinnakers on the water, fish punts at the docks and coffee in the sunshine. 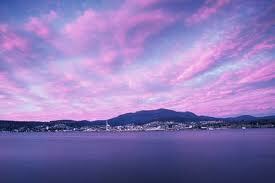 Hobart is the capital of Tasmania and Australia’s second oldest city. Full of interesting cultural heritage and located close to Mt Wellington and on the banks of the Derwent River, Hobart is renowned for its easy, laid-back charm. Established in 1804 by European settlers, Hobart’s isolation meant that thousands of British convicts were sent to the city to serve their sentences in appalling conditions. Today Hobart is a beautiful city with many visitor attractions and an ideal base to explore the picturesque island of Tasmania. There are no direct international flights to Hobart, Australia from the UK, however flights are available to Hobart with a short transit or aircraft change via the Middle East or Far East and mainland Australia. Head to the historic town of Port Arthur with its heritage buildings, fascinating museum and old prison buildings. Explore the beautiful colonials in central Hobart in Salamanca Place and Hunter Street. For a spot of culture, visit the excellent Tasmania Museum and Art Gallery, Parliament House or the Museum of Fine Arts. Close to Hobart is the Mt Field National Park, one of Australia’s first national parks and popular for its lovely mountain scenery, lakes, waterfalls and rainforests. There is plenty of wildlife to discover and in the winter, it transforms into a great place to ski. For spectacular views, hike up Mt Wellington which towers more than 1200 metres over Hobart. Try our Directflights.com flight search box at the top of the page in order to find the cheapest flights to Hobart, Australia. If you're after the best offers on cheap flights, we advise you to book well in advance of your departure date and also to avoid travelling during the traditionally busy peak periods particularly over Christmas and New Year and during the summer school holidays. Our flight search facility will compare prices of over 500 airline and travel partners to give you the most competitive fares on low cost flights whether you're booking in advance or require lastminute flights. Why don't you give it a whirl. 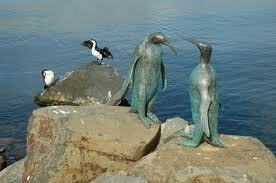 Hobart has a mild temperate oceanic climate. Compared to other major Australia cities, Hobart has the second fewest daily average hours of sunshine, with 5.9 hours per day. However during the summer it has the most hours of sunlight of any city with up to 15.2 hrs on the Summer solstice. Although Hobart rarely receives snow during the winter, the adjacent Mount Wellington is often seen with a snowcap. Unseasonal mountain snow covering has been known to occur during the other seasons.